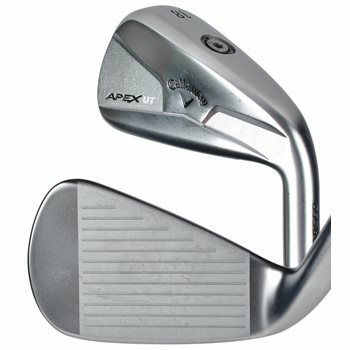 The Callaway Apex UT Utility club features a forged face cup design that helps generate high ball speeds all across the face to get added distance even on mishits. The sole weighting lowers the CG allowing for an easier launch making it easy to hit higher. This utility iron is forged from a premium 1020 carbon steel giving it a superior look and feel.